Shoppers yearn for retailers that deliver respect, but our research shows only a handful deliver it the way shoppers want it. What are they doing right? We explore several examples of retail companies that succeed in winning the shopper’s respect. When the shopper wants to be put first, she goes to Aldi. Or Amazon or Sephora or Costco or Publix. These are among the short list of retailers that rank highest for being fair, honest and caring for the shopper, according to our Future Shop 2019-2020 report. Earning respect comes in various ways, from making good on a brand promise to providing value, not only in dollars but by saving time, and through a unique experience. Here are examples of brands that successfully personalize, customize and deliver to suit the shopper’s new demands for respect. The German supermarket chain is known for its low prices, but it has been adding greater value, and surprise, by incorporating healthier foods, organic produce and the occasional “big brand” label. In Germany, Aldi’s “Store of the Future” provides a peek into what we could expect next. In a nod to the shopper’s demand for more than low-priced packaged foods, the format offers a wider selection of affordable, healthy products in brighter space. Recognizing one of its shoppers’ greatest challenges, the store features a digital screen that offers dinner suggestions. The online retailer has been opening physical bookstores from California to New York, integrating the ease of its digital channel with the immediacy of an in-store experience. In New York, both staff and signage provide fast help. There are even Rolodex cards shoppers can flip through if digital’s not their thing). Higher-tech shoppers can opt to click on their Amazon apps to check prices and buy. Amazon also delivers on the promise of a real bookstore experience, with areas to hang out and read, as well as ancillary products geared to the local shopper, like water bottles and children’s toys. When the foundational needs of the shopper experience are met, the rest is more likely to fall into place. The warehouse club proves this with intangibles, such as honesty – it delivers what it says it will and is transparent about it. For now, that overshadows superfast apps and other retail bells and whistles. Those surveyed ranked Costco highest among retailers for its honesty, with 77% believing it delivers what it promises. Nearly three-quarter (74%) think it is a good value (or fair prices). 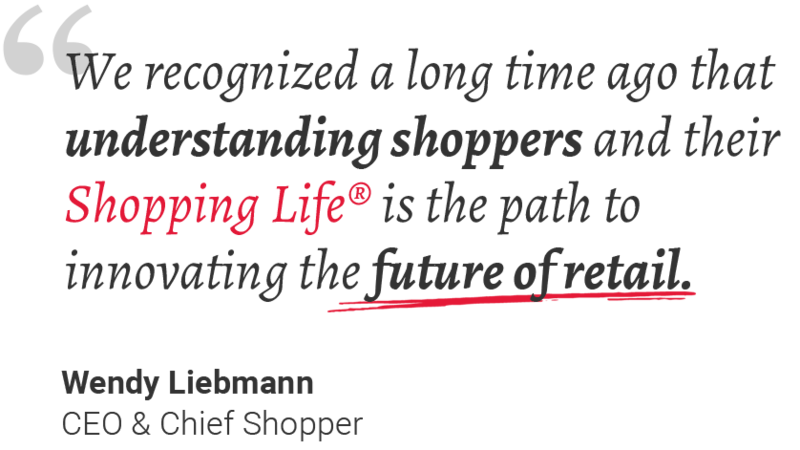 The Florida based, grocery chain shows how a more traditional retailer can deliver respect – no tech bells and whistles required. There it’s all about people respecting people. From the associates at the checkout (many disabled) who offer to walk shoppers and their groceries to their car, to the pharmacist who offers to flavor children’s liquid medicines for free (something other retailers charge for), it’s all about the personal and personalized touch. On Boston’s tony Newbury Street, the beauty chain opened this half-sized shop with community-building in mind for fast and interesting trips. Signage references Newbury Street, generating a sense of ownership among shoppers, and free beauty classes (for members of its loyalty club) provide opportunities for locals to bond and share experiences with staff. To support easier trips, the checkout is mobile. Such features may be why our research shows more shoppers feel smarter buying from Sephora than its rival Ulta (by 8 percentage points), even though Ulta is more promotional. In addition to the 40+ companies we rated in How America Shops®, “respectful” companies are emerging every day. Some established names, others new ones. Founded by former Bonobos executive Craig Elbert, this online vitamin delivery service combines three elements that make shoppers feel respected: customization, transparency, and simplicity. Care/of builds personalized daily vitamin packs using “better ingredients” – something clearly important to its health-conscious market. It does this in part by culling through research studies and providing shoppers straightforward, easy-to-read graphics to assess a product’s potential effectiveness, along with recommendations. This combined with Care/of’s “we’re in this together” tone take the stress out of a potentially complicated process. The Korean beauty chain’s first U.S. store, in New York, puts the shopper first by understanding her need to simply get the facts quickly, particularly in the often-complex skincare category. The store color-codes its products for easy navigation. It then organizes them by need or benefit (pore solution or anti-aging, for example) and highlights the key ingredient, such as green tea. Innisfree also recognizes how personal beauty can be, so it invites shoppers to customize their own “My Palette” eyeshadow kits or treatment masks. The retailer has also thought ahead for shoppers who don’t have time to browse, with take-home education cards on specific products. Respecting the shopper doesn’t require a lot of money; it just means putting her needs first. There are no hacks or shortcuts – she’s just too smart for that. She also is less likely to compromise today than she was a year ago, so don’t waste time.